See available 6000 Williams Island condos for sale. 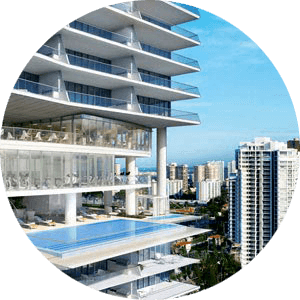 Most luxurious and spacious Bellamare Aventura residences located at 6000 Island Blvd Aventura FL 33160. Condos perhaps one of the most luxurious condo buildings in Aventura Florida. 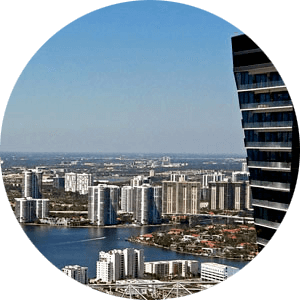 With direct waterfront views, fantastic city views, nearby marina, and amenities on Williams Island, living in 6000 Island Blvd Aventura Fl 33160 condos is a vacation year round. Spacious condos for sale in 6000 Island Blvd feature open floor plans with three and four bedroom residences which range from 2000 to spacious 4400 square feet of living space. If you need more information or would like to schedule a showing for one of the Bella Mare Aventura 6000 Island Blvd condos please Contact Us or give us a CALL 786-505-4786. Bellamare Williams Island Condos are the ultimate residences for waterfront living in North Miami. 210 luxury residences located on the edge of Dumfoundling Bay at 6000 Island Blvd, Aventura most prestige address. With East and West exposure from all of the condos for sale in Bella Mare, every residence offers the most amazing views all the way to the 30 story. Bella Mare 6000 Williams Island pampering amenities comforts and close proximity to everything that Aventura has to offer makes it one of the desirable places to call home. Concierge services, gated community, deluxe spa, deep water marina are just a few of the luxuries residents enjoy at BellaMare Condos. Bella Mare expansive location at 6000 Islands Blvd Aventura FL 33160 offers endless views of the Intracoastal, Ocean and the City. Lush tropically landscaped grounds, beautiful pools, full-service marina, Williams Island Tennis Club close proximity to the Island Club are some of the five-star resort features that residents can enjoy daily without the need to venture too far away from the community. Sail off from Marina at Williams Island two full-service marinas offering 100 slips under the watchful eye of a seasoned dock master. Marina at Bella Mare Williams Island can accommodate yachts up to 120 feet in length. Bakers Inlet at Haulover Park is only 10 minutes away from the Bella Mare residences and will take you to wide open waters of Atlantic Ocean in no time. With spacious flow-through floor plans, 6000 Island condos range from two to five bedrooms and over 2000 to 4400 square feet of living space, there is a home for any size family in Bella Mare Aventura. Gourmet cook in you will enjoy stainless steel professional grade appliances with lots of cabinets and space to through a party for your guests and family. Some of the largest Bella Mare Penthouses for sale in North Miami can be found at 6000 Island Blvd Aventura FL 33160 condos which range in size from 6000 to 9000 square feet and offer unique views in all Aventura. The list of building features goes on and on. Designed by Robert Swedroe, condos for sale in Bella Mare are suited for the most selective buyers from around the world and they truly live up to that expectation.